Here at Shine From Within we are dedicated to ensuring our students receive the most up-to-date and useful knowledge in our courses. To assist with this, we’ve invited some leaders from various industries to make up our new Advisory Board. The Advisory Board members are supporters of Shine From Within and offer advice and support on various topics. Meet our very first Advisory Board members below. I am compassionate, creative, gentle and intentional in my counselling approach. As a holistic Psychologist I strive to help you to feel connected, respected and empowered in the therapy process and I encourage you to consider all aspects of your wellness. For over ten years I have worked with adults, adolescents, children and families in a variety of settings and roles including a child/adolescent and family therapist, group therapy program developer and facilitator, adult mental health psychologist, counselling and clinical supervisor, case manager, child psychologist, and lecturer at a leading training provider in counselling and community services. I specialise in anxiety, family separation, parenting and attachment, grief and loss, neurobiology, trauma, sexual abuse, self-harm and complex mental health. In addition, I have published research in the area of stress, nightmares and personality, and have been interviewed on radio and television about cyber-bullying and coping with grief. As well as talk therapy, I am trained in expressive therapies, so that if you do not feel comfortable talking, we can explore non-verbal ways of communicating and working through your concerns using mediums such as art, music, symbol work, and movement. Counselling is an opportunity to take care of your mental health and sense of overall wellbeing. I will create a safe space to help you unfold and nurture your unique strengths and resources, guiding you towards experiencing more freedom, fulfilment and peace within yourself. I am most passionate about the worth we place upon ourselves, self-care, nurturing from within, Neuropsychotherapy, and a holistic approach to mental wellness. As a Psychologist, I work with individuals focusing on them as a whole, rather than as a labelled diagnosis. I believe in the value of providing unconditional positive regard, respect, confidentiality, and a sense of safety to all my counselling clients. I have worked in diverse settings such as in a mental health unit facilitating quality of life programs, a senior counsellor at a national counselling service working with children and young people, a family therapist working with children using expressive therapies, in a hospital setting working with pain rehabilitation programs, and in private practice. My main areas of training and interest are in Neuropsychotherapy, developmental and attachment psychology, and expressive therapies. I have conducted research in the area of relationships and technology use, which I presented at the International Applied Psychology Conference in Paris, France, 2014. I have also been interviewed for the New York Times, NBC television and Women’s Health Magazine for this research. Investing in yourself and putting you first is a big first step in your journey to healing and self-growth. You do not have to do this alone. It is my absolute privilege to bear witness to your life, your story, and I am committed to walk alongside you whenever you feel you are ready. Erin Barnes has a Bachelor of Applied Science – Human Movement Sciences and is a certified Lifestyle and Wellness Coach with 17 years industry experience. 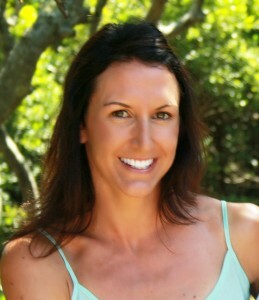 Erin is a wife, mother of 2 and founder of Next Generation Wellness. Erin’s intention and passion today is in assisting parents to become the absolute best person they can be physically, emotionally, mentally and spiritually, so that they can lead their children naturally toward a happy, vibrant, self-reliant, purpose driven and healthy life. Hi, I’m Diana. I’m an intuitive led mentor and coach, passionate teacher, spirit seeker and dream chaser. 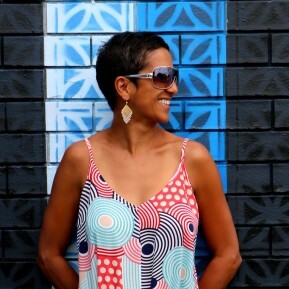 As a soulful, fun loving creative I guide women with untapped dreams to unlock their hidden potential. It is my dream for all women to know that warm hug from heaven, where they feel loved and supported and ready to kick negativity and perfectionism to the curb. I love helping women get unstuck and unleash a life of value, worth and integrity. By creating a safe and warm haven for my clients and working with them to develop their gifts and talents, they soar in confidence and live their most authentic lives by being more self loving and self expressive. They deepen their relationship with themselves, others and the divine. Lisa is a Solicitor with a passion for talking to students about the law in their lives: driving, partying, working, banking, renting and the law in their online lives: posting, gaming, sexting, downloading. With extensive experience in Employment and Education Law, Lisa is a current Executive Member of the Queensland Chapter, Australia and New Zealand Education Law Association and is completing a Master of Employment Relations. Jacinta Richmond is widely recognised as the Sunshine Coast based Fashion Industry pioneer who is bringing national and international attention to fashion industry creative’s on the Coast. 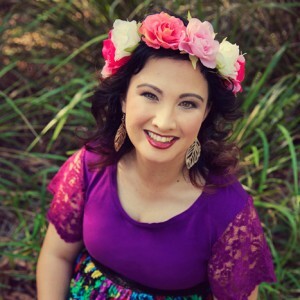 As the founder of the Sunshine Coast Style Awards in May 2008, Jacinta quickly established the Sunshine Coast Fashion Festival in October the same year, which is still running today and is widely recognised as a premier event on the Australian fashion calendar. She has grown the event to include Frocks in the Vines, a mentoring, educational and networking event as well as Off The Rack, a designer warehouse sale to support the cash flow of local designers. 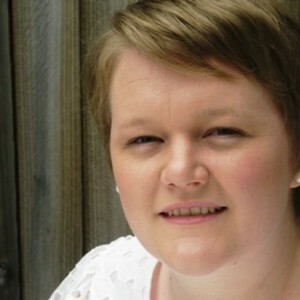 She is the fashion writer for Coolum and Northshore News and has contributed widely to Sunshine Coast publications. Jacinta has a passion for nurturing local designers to go on to success and has personally discovered many young models, including some of our own students. She’s also a beautiful Mum to a teenage daughter. 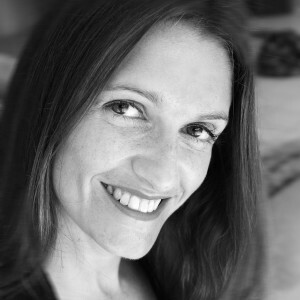 Kaye Vlachos is a sporty soul sister & zen mumma; inspiring & nurturing you to embrace your gorgeous life with her heart-centred guidance. Her Sunshine Coast based self-empowerment workshops & 1:1 skype health/sports mentoring services inspire women, girls & athletes to create amazing health & lifestyle improvements one small positive change at a time. Kaye proudly represented NSW and Australia in women’s football for 15 years and has a strong passion for helping young athletes pursue their dreams. Her two daughters, Giselle & Bronte often dictate the types of fun workshops that Kaye creates for young girls. Kaye has been involved with Shine From Within for a number of years, first as a Mum of a one of our students and now as a guest teacher and advisor. She is a certified health coach, accredited personal trainer, lightworker and holds a Bachelor of Human Movement Studies. We also have our incredible Youth Mentor Training faculty who are a constant inspiration to us and provide countless hours of support and guidance to us. You can read all about them here.